The 24-member board of the United Nations Framework Convention on Climate Change’s (UNFCCC) Green Climate Fund (GCF) is meeting at its recently established headquarters in Songdo, South Korea this week to hammer out the details that will see the climate fund become fully operational. 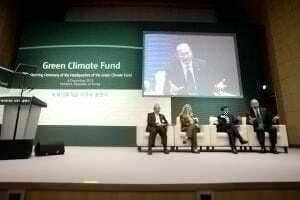 Over four years in the making and with a goal of raising $100 billion in capital by 2020, the GCF is intended to serve as the primary multilateral vehicle for climate change finance, its guiding mission to channel investment capital from developed to developing nations for the purposes of climate change mitigation, adaptation and sustainable development. Gathering amid the backdrop of the recent release of the International Panel on Climate Change (IPCC) Fifth Assessment Report (AR-5) and the U.S.’ Third National Climate Assessment, the need to channel investment capital away from climate-warming fossil fuel production and consumption and toward alternatives that are emissions-free and ecologically sustainable appears clearer than ever. Some of those involved and carefully observing developments in climate change finance question the need for yet another international climate fund, however. They argue that further fragmentation of an already fragmented climate finance landscape will only add to the confusion, debate and controversy as to how best to promote and foster rapid development of clean, renewable energy resources and accelerate growth in projects that enhance climate resiliency across developing nations. Rather than further fragmentation, what’s needed, they say, is consolidation and unification of climate finance funds along with a streamlining process that results in a simpler, more effective funding application process that affords more open, inclusive access to investment capital for small developers of climate change mitigation and adaptation projects at the local level. Also essential, they assert, is an intensified effort on the part of all 195 national governments party to the UNFCCC to eliminate fossil-fuel subsidies, which they note dwarf the $100 billion in capital for climate finance the GCF is still to looking to raise from member nations and the private sector. Non-governmental, as well as U.N.-member nation, participants in and close observers of international climate change treaties and fund negotiations also worry that multinational fossil fuel, nuclear and large-scale hydro power interests will co-opt the funding process, and that, as a result, climate funds such as the GCF will wind up allocating large amounts of scarce capital in large-scale projects diametrically opposed to its stated mission of reducing greenhouse gas emissions and enhancing climate change adaptation and resiliency in developing nations. As Janet Redman, director of the Institute for Policy Studies’ Climate Policy Program, explained, 195 countries came together to create the Green Climate Fund in order to help finance the transition in developing countries from dirty energy development to clean energy, climate-resilient economies. The GCF process may well be perverted and used to achieve ends diametrically opposed to its stated mission and goals, however, Zachary Hurwitz, Global Standards coordinator at International Rivers, cautioned. 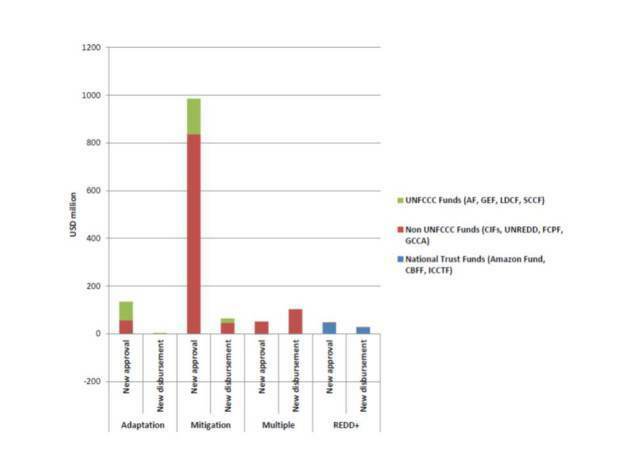 Do we need another multilateral climate fund? Moreover, the GCF is having an extremely hard time establishing itself, as well as raising capital, Razzouk highlights, even though the $100 billion-by-2020 GCF target “is peanuts” compared to a global GDP of $70 trillion and the $2 billion a year being spent on fossil-fuel subsidies. For more, check out the article in The Indepedent’s news archive.